Adding IoT Insights to Field Service Lightning also lets businesses reduce administrative work — a cost center — and focus on higher-value projects, such as solving a customer’s problem. Users can set rules to trigger the creation of a case automatically, and deploy an immediate response when IoT signals indicate a malfunction. 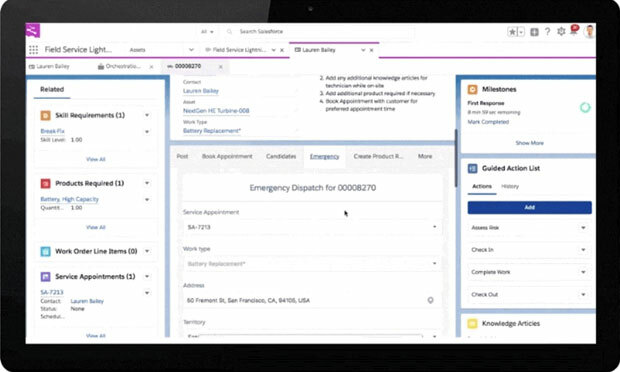 “Combining IoT with CRM lets our customers see device status in context to their customer relationship — alongside warranty information, past purchase history, and other information — all in a single dashboard,” Paolo Bergamo, general manager of Field Service Lightning at Salesforce, told CRM Buyer. IoT Insights “should reduce costs and increase customer loyalty and repeat sales, because it connects companies more tightly with the solutions they sell, which makes those solutions more reliable,” noted Rob Enderle, principal analyst at the Enderle Group. “In addition, the data collected should result in better targeted IoT devices over time,” he told CRM Buyer. An IoT project must have connected devices, data processing, and a way to put digestible data into users’ hands, said Rebecca Wettemann, VP of research at Nucleus Research. “We may not be the first to offer IoT capabilities, but what makes our IoT Field Service offering different is that we’re combining IoT with the world’s No. 1 CRM, and with business processes,” Bergamo said. 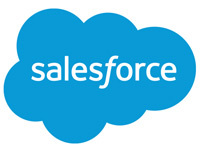 The move “opens up the ability for [Salesforce] to provide revenue streams for its customers that connect field service, as more and more equipment and devices get instrumented,” said Dion Hinchcliffe, principal analyst at Constellation Research. “That practically sells itself, and could drive significant growth for Salesforce in what is absolutely going to be one of the biggest networking trends in history,” he told CRM Buyer. Salesforce’s move was influenced by Gartner’s prediction that there would be 20.4 billion connected things by 2020. “If we use a broad definition, which we should, as anything that is connected to a network [is] qualified, we actually see a number closer to 30 billion, given the sheer number of devices with IP addresses in the home now,” Constellation’s Hinchcliffe pointed out. All these devices will require reactive — and sometimes even proactive — services, though those requiring field service will be a smaller subset. “You need high-value devices on the order of (US)$1,000 or more before field service makes sense,” Hinchcliffe pointed out. The market would be worth $20 billion in 2020, “but this will skyrocket to as much as $60 billion just three years later,” he predicted. Salesforce’s decision to combine IoT with field service and CRM will open up new opportunities for the company, Bergamo said.